The National Landscape Has Changed: Have We Risen to Meet the Change? One of the nation’s leading Catholic pro-life advocates, Kathleen Eaton Bravo has earned national acclaim for her work creating several faith-based, pro-life ministries, including a network of fully licensed medical clinics in Southern California. 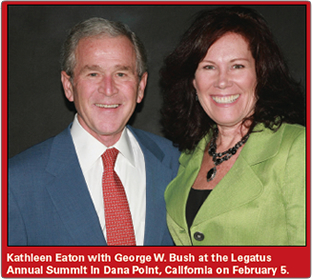 In February 2010, Kathleen joined the 43rd President of the United States, George W. Bush, as a recipient of the acclaimed Cardinal John J. O’Connor ProLife Award for her distinguished achievement in service to the pro-life effort. A personal experience with abortion as a single mother in 1980, and the shame that surrounded it, is what introduced Kathleen to the pro-life movement. After realizing her pre-abortion counsel with a nationally prominent family-planning organization did not involve at least a discussion of choosing life for her unborn child, she decided to dedicate her life to preventing other young mothers from making the same mistake. As a result, she started three pregnancy resource centers in 1981 converting them to fully licensed medical clinics in 2007. Bravo states, “I wanted to create a medical clinic model that could compete nose-to-nose with Planned Parenthood for the lives of unborn babies and the soul of the mothers and fathers. In other words, get the patients out of Planned Parenthood and into our Clinics.” Today this ministry has grown to include six fully licensed community medical clinics, including a mobile clinic, serving Orange and Los Angeles counties known as Birth Choice. The Catholic community has long recognized Kathleen for both her leadership in the pro-life movement and Birth Choice Health Clinics for their innovative medical model. 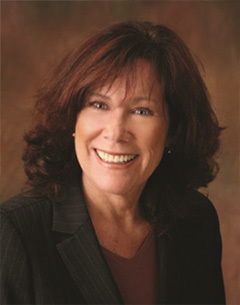 Noting their support, Kathleen was named the 2011 Pro-Life Person of the Year by the Diocese of Orange.